"Some Good Things Never Last"
Jo Lynn Burks on piano. 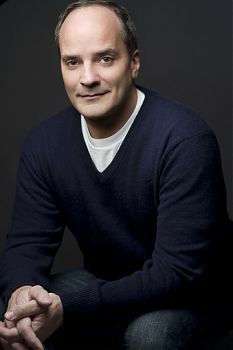 Tom Rocco is an accomplished actor and singer based in New York City. Until recently, his primary focus has been in the theater; however, the success of his first live, one-man shows and his CD, “Matters of the Heart,” signaled a new phase of his career…as a cabaret and recording artist. As the youngest of seven children, Tom was born with a captive audience. And he’s been captivating audiences, from the stages of his hometown, Pittsburgh, to Broadway ever since. Tom’s extensive theater credits include Peter Pan with Cathy Rigby, Seymour in Little Shop of Horrors at the Smithsonian Institution in Washington, DC, Huck Finn in Big River and Cornelius Hackl in Hello, Dolly!. He appeared off-Broadway in Dorian Gray, and toured the country in the first national companies of Chess and The Who’s Tommy, both directed by Des McAnuff. On Broadway, he appeared in Martin Charnin’s Winchell and played numerous roles, including Uncle Ernie, in The Who’s Tommy. Between theater stints Tom performs in cabaret venues. He’s recently been making a big splash with his latest show, Restless Soul Syndrome. Prior to that, his first, full-length NYC debut, My Big, Fat, Proposition 8 Wedding, won the 2010 MAC Award for Best New York Debut and can be heard on a live-recording CD. He has sung on the New York City cabaret stages of Joe’s Pub, The Metropolitan Room, Don’t Tell Mama, The Laurie Beechman Theatre, The Mainstage at The Broadway Comedy Club, Ars Nova, The Triad, Upstairs at Red and Mama Rose’s. He also has appeared in the sketch comedy revues The News in Revue on PBS and The Campaign Unzipped at the Zipper Theatre in Manhattan. He is a graduate of Point Park University with a BFA in Musical Theater Performance. Tom is a member of AEA, SAG-AFTRA and MAC. In his down time, he loves hanging out with his better half, Matt, and their dogs, Dexter and Lexie. Tom is an avid gardener and cook, loves to travel and enjoys the company of old and new friends.